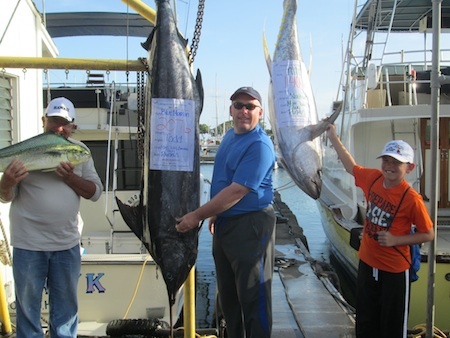 Martin with 265 lb Blue Marlin! 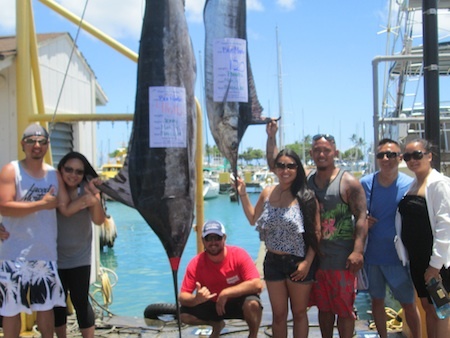 Big Mahalo to Martin for choosing Maggie Joe Sport Fishing! 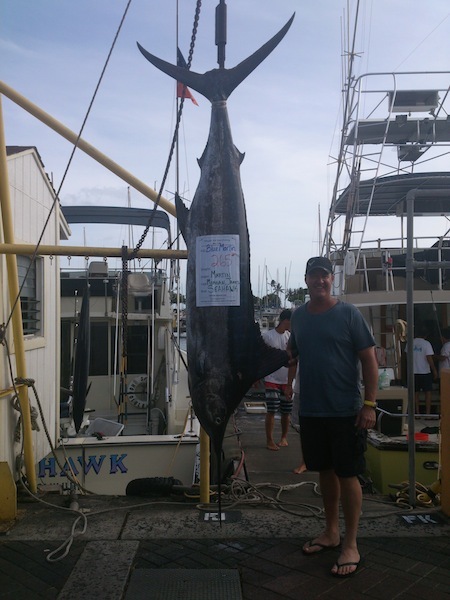 Martin hauled in this nice 265 lb Blue Marlin while deep sea fishing aboard the Sea Hawk with Captain Morgan. Aloha! 416 and 120 lb Blue Marlins! Mahalo to the Navasack group! Angler Todd hauled in this nice Blue Marlin while little angler Nathan brought in this nice Ahi aboard the Ruckus after a full day sport fishing charter. Mahalo!